We at the Guild love to fix stuff. Fixing things is fun, rewarding, and responsible. It saves the expense of replacing the item, keeps the broken item out of the landfill, and it feels great to solve the puzzle and keep that favorite piece of furniture or stereo working. That’s the purpose of today’s entry, to help you learn how to troubleshoot and start fixing things at home. If you’re just starting out this can seem like a bit challenge. Where to start? All fixing starts with troubleshooting, or identifying the problem. What’s broken? This might seem like a silly question. If your TV doesn’t come on, the toaster doesn’t toast, or if you sit on a chair the legs pop off and you plop on the ground the answer is obvious! The thing doesn’t do what it was made to do, and now it’s broken. This is true, but it doesn’t get us any closer to fixing the problem. If fixing things was magic we would wave our hand or wand over the broken item and Presto! it goes back to normal. Unfortunately, we’re not magicians. (However, if you can do this, please contact us immediately. You would make an extraordinary volunteer!) But when it comes to fixing things we have to dig a little deeper. First, identify the problem more specifically. What isn’t happening that is supposed to? Going back to the toaster, what problem are you having? Does it fail to heat up? Does it fail to pop up your toast when it’s finished? Does it smell bad while it’s working? Does the dial to change how dark it toasts not do anything any more? Being specific is the first part of troubleshooting: Identify the problem. Next we need a little child-like curiosity: How does a toaster work? What’s going on in there? If it’s working properly you put bread into the slots, push the handle down and something in there heats up your toast and then springs it back out. And hey! It’s toast! So we need electricity to heat up the elements, some springs and levers to hold the toast down, and a timer to shut off before the toast is too dark, and eject the toasted bread. Each of these systems does their part and bread turns into toast. There’s a lot of happening inside your everyday toaster. 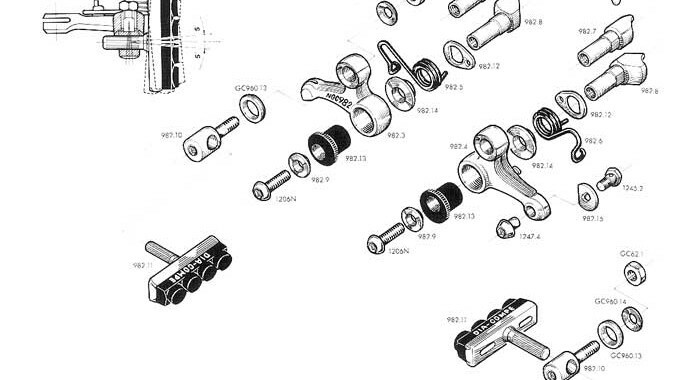 Finding a diagram like this can help you see how each system works and how to fix it when it breaks. Thinking this way is key to fixing anything. Now we’re ready to start fixing. We’ve broken the toaster down into the systems that make it work, let’s go back to step one and compare what is happening with what’s supposed to happen. Part of this process can be frustrating, but it is important to be patient. Not being able to solve it right away is not a failure – you are just eliminating variables. And that’s it, that’s the heart of troubleshooting. This is the cornerstone of fixing things. If you can identify the problem and have even a basic understanding of how your item works, you can narrow down the system that has failed and now you have a place to start looking for more information. The greatest tools a fixer has are curiosity, being able to break things into systems, and the willingness to do a little research on the internet. There is almost nothing that can be fixed that someone hasn’t already made a video or blog about fixing yet more and more things are seen as disposable than ever before. With a little patience, practice, and curiosity you can have the satisfaction of fixing things yourself. 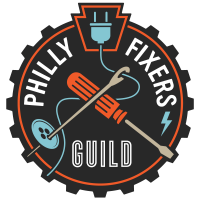 If you want to learn more come see us on Saturday, November 22nd at Fishtown’s Shissler Rec Center, 1800 Blair St. Starts at Noon and goes until 4pm or drop us a line and ask a fixer!